Evonik has already demonstrated the power of wind technology by driving an electric vehicle across Australia. The Wind Explorer has its own mobile power supply and when the lithium-ion batteries are empty, they can be recharged via a portable wind turbine, which produces enough energy to travel 280-360 km a day. 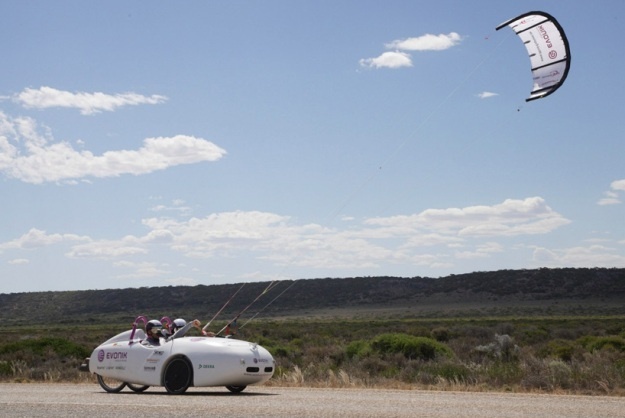 As well as wind power, the Wind Explorer can be driven by a giant kite, which is able to propel the lightweight vehicle forward with only a slight wind. In this way, it reached speeds of around 80 kph and covered 5,000 km using less than $15 worth of electricity.